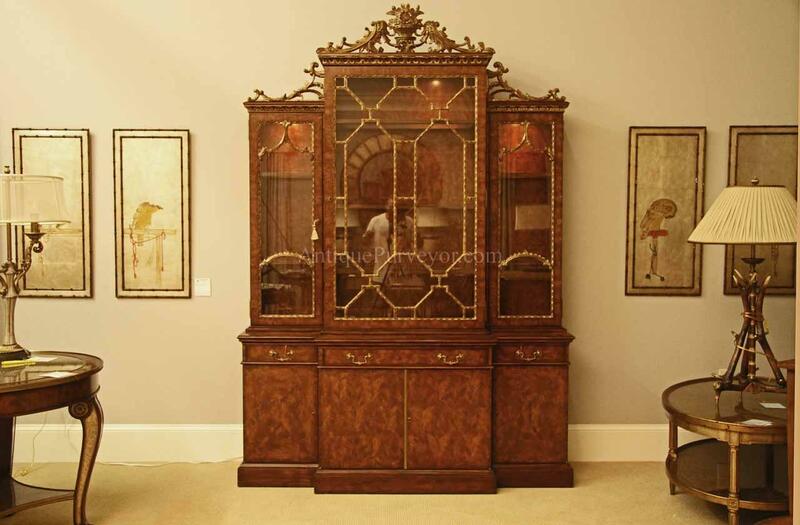 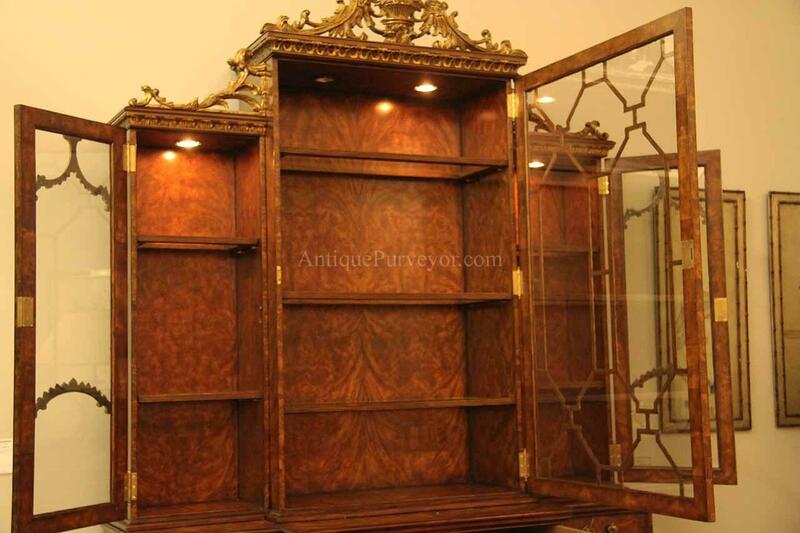 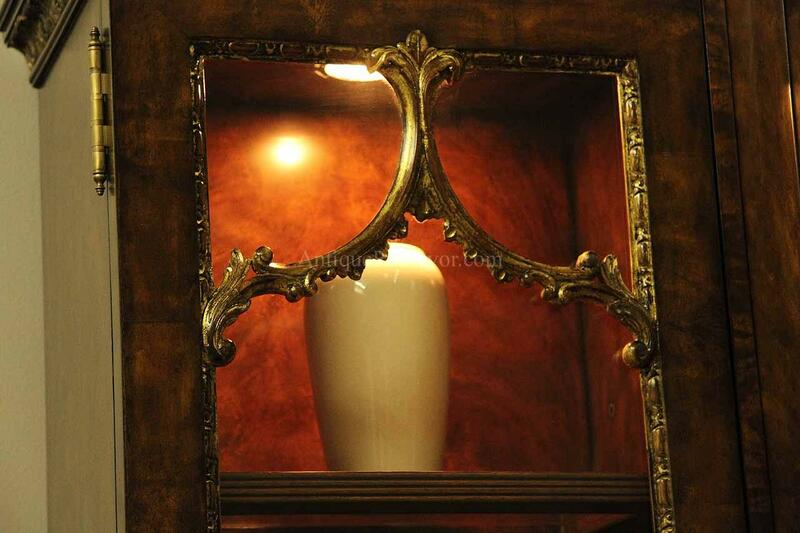 High end French styled china cabinet for an exquisite home. 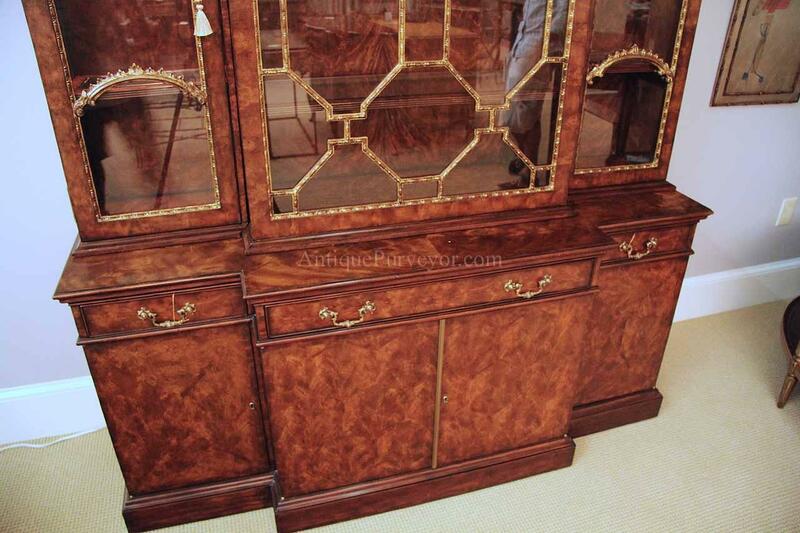 This craftsmanship on this cabinet is second to none. 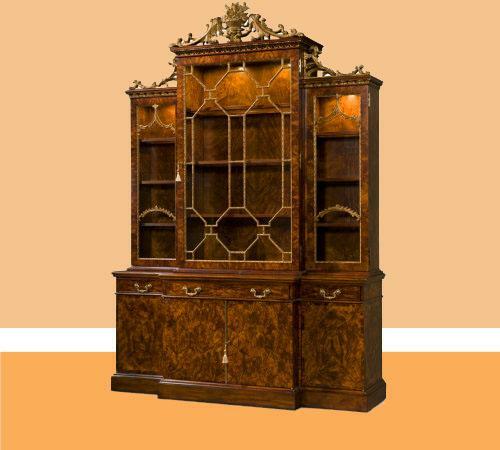 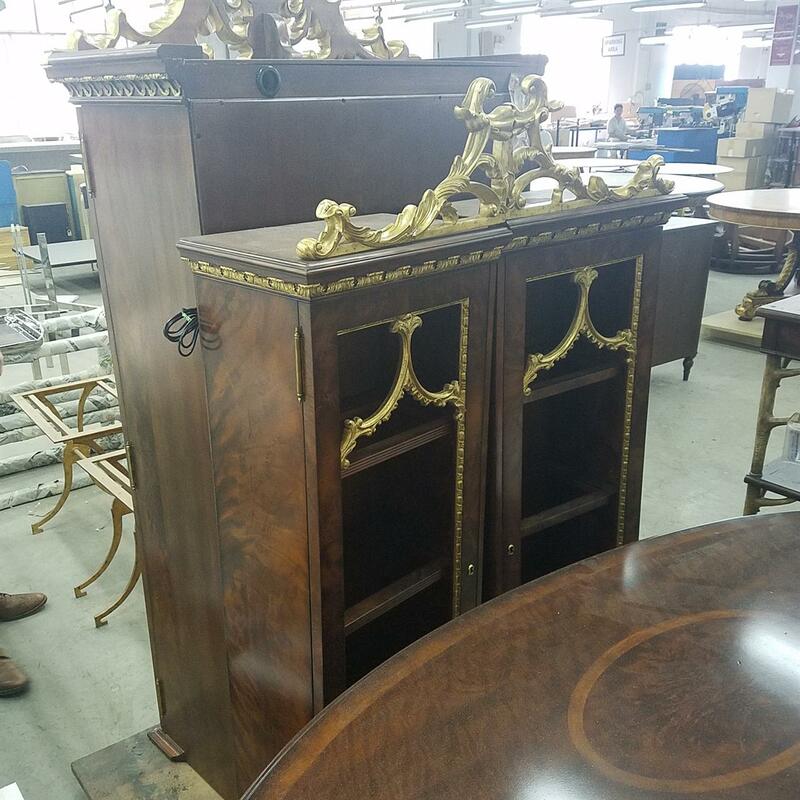 It is a heavy, detailed cabinet for a Stately home. 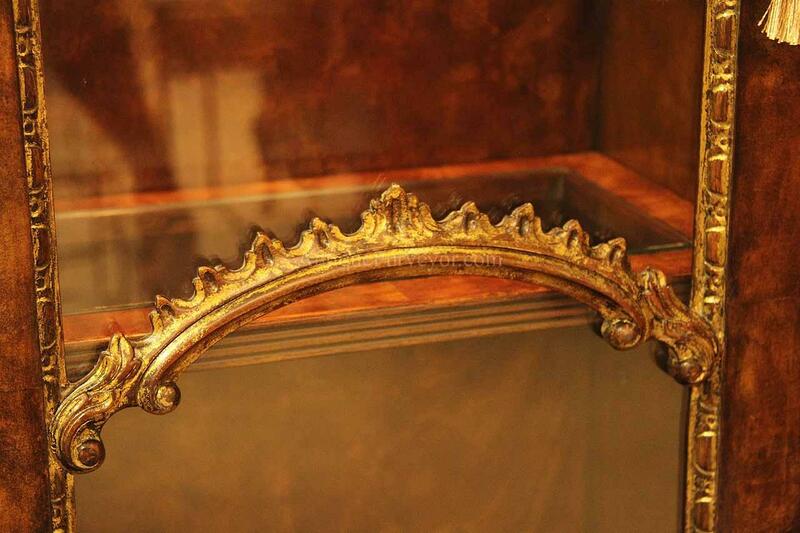 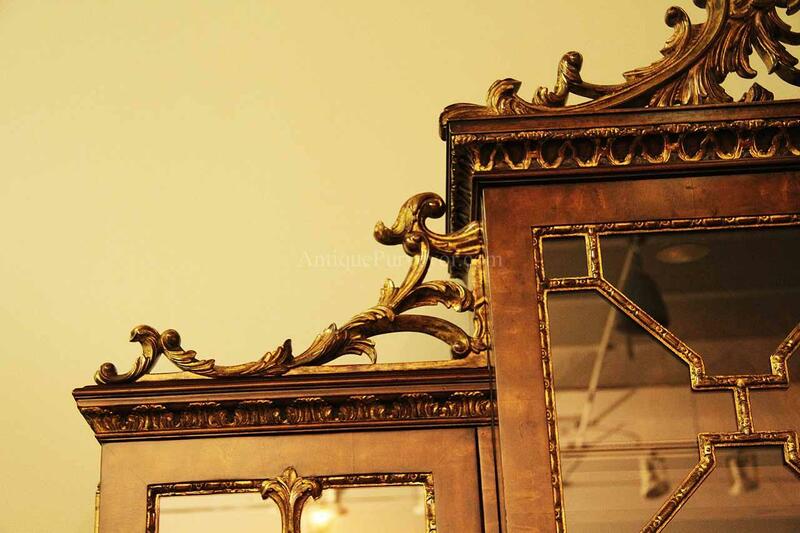 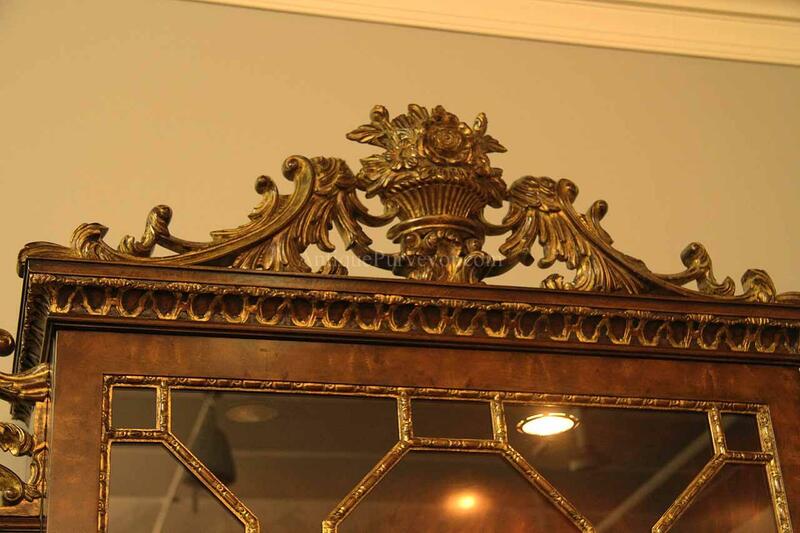 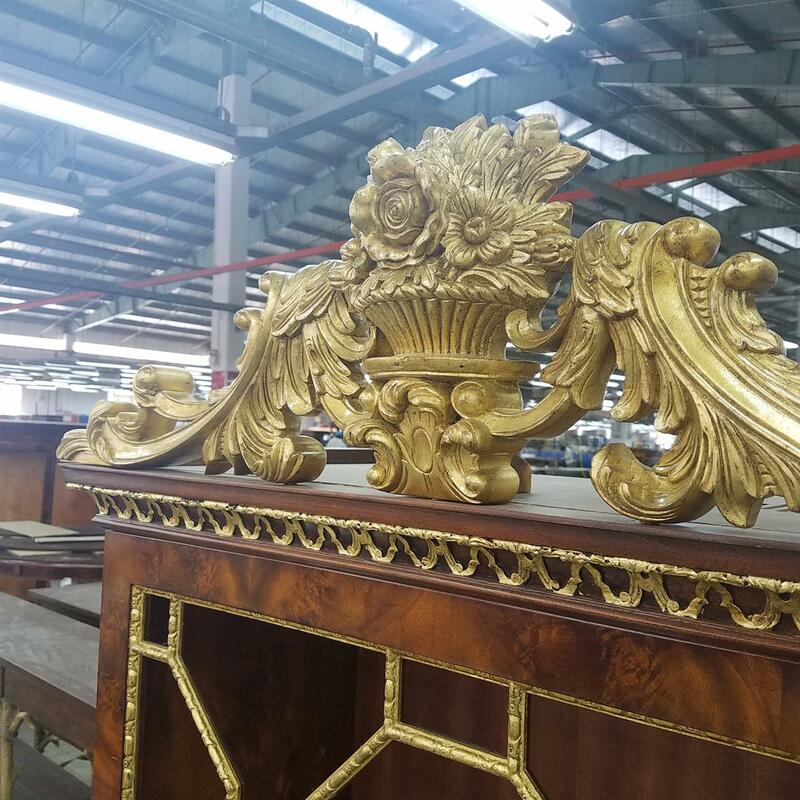 The Floral pierced carved cornice and gilded astragals will bring your living space back in time. 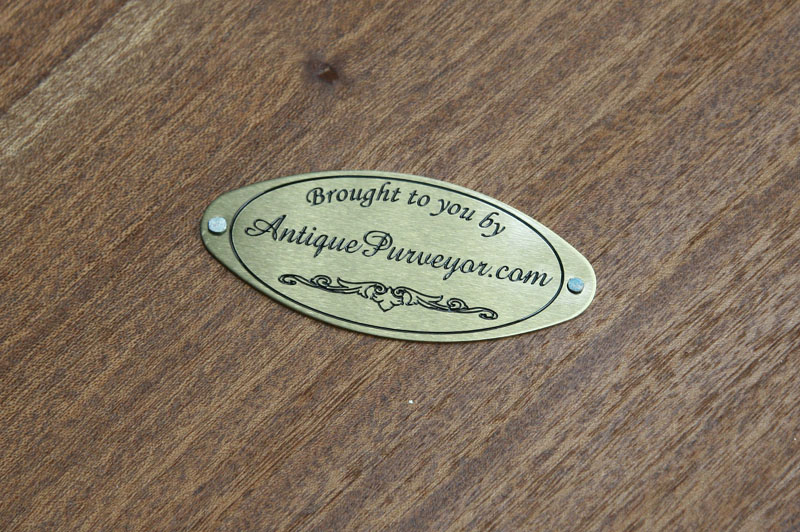 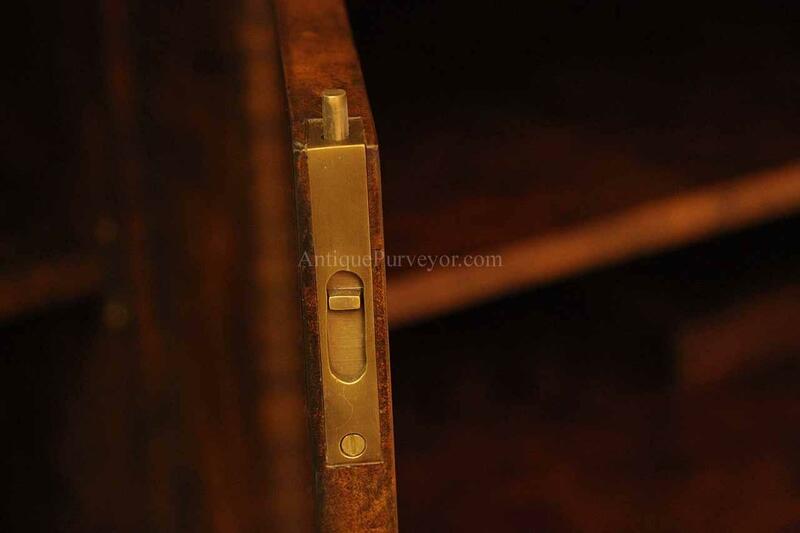 It is a true period reproduction manufactured by a significant brand. 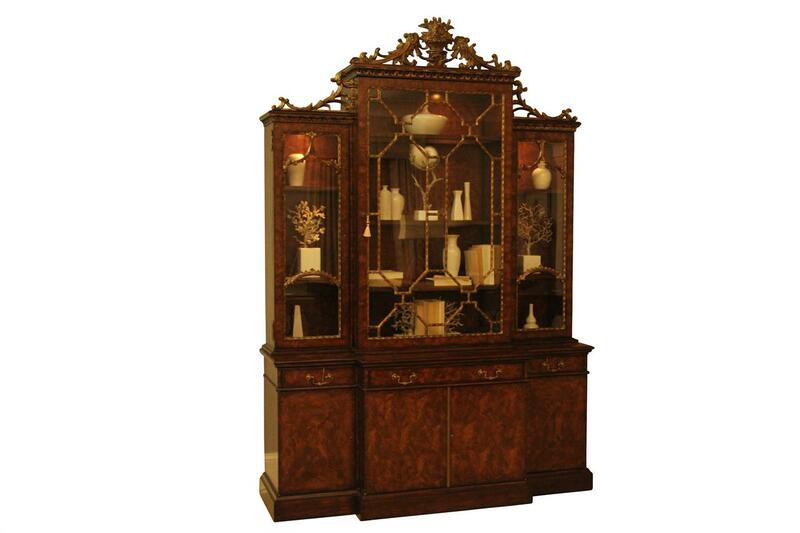 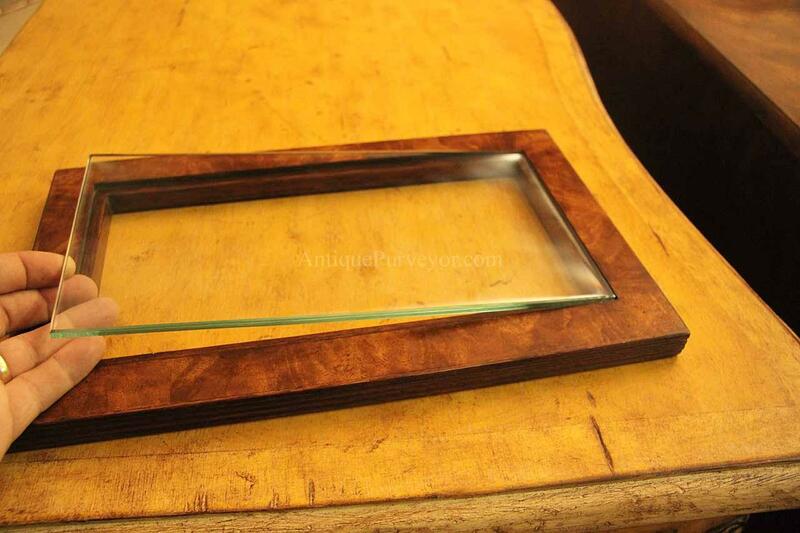 The three window glass case sits over three opening doors which hide adjustable shelves and storage. 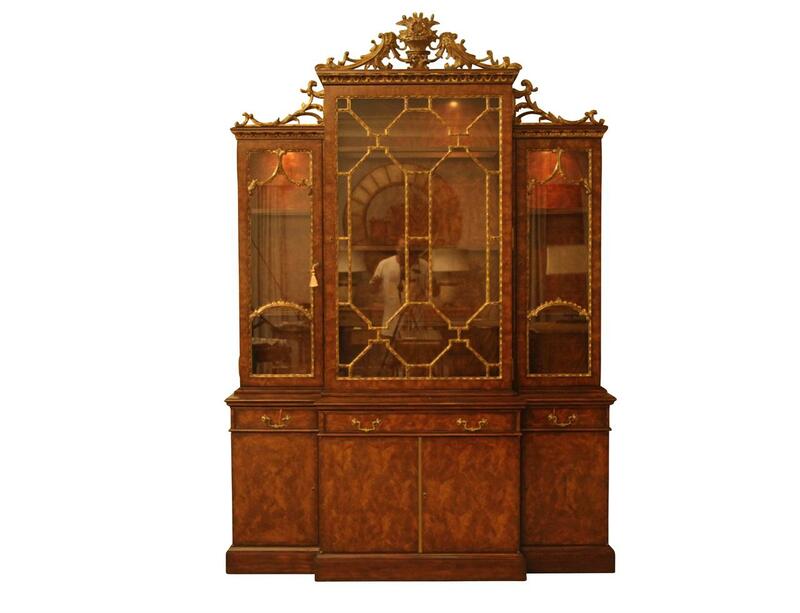 The interior of this cabinet is just as detailed as the outside. 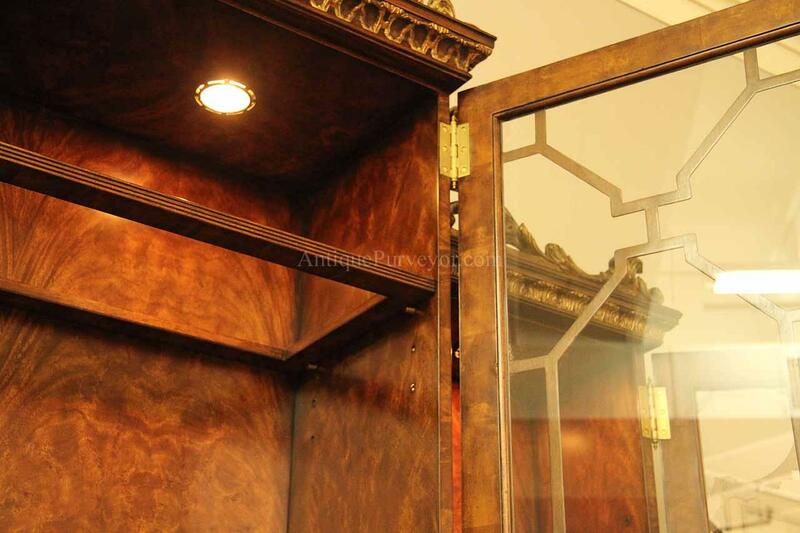 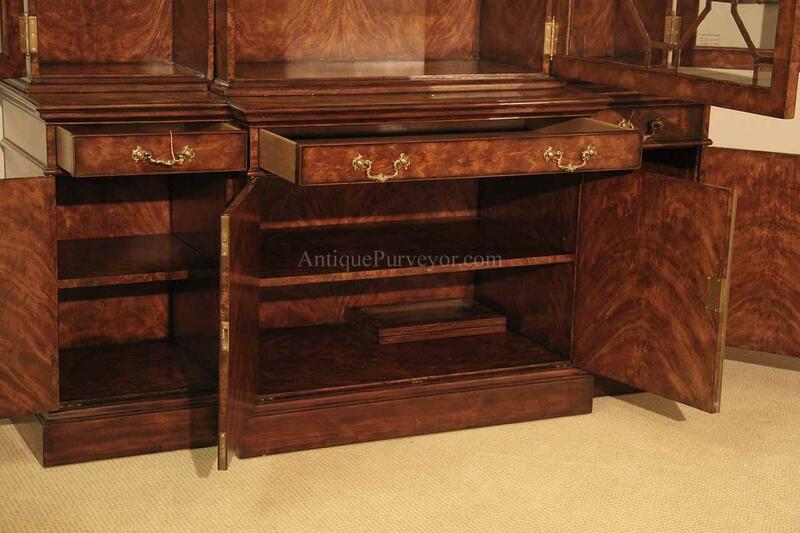 Beautiful flame mahogany Veneers decorate the entire cabinet inside and out. 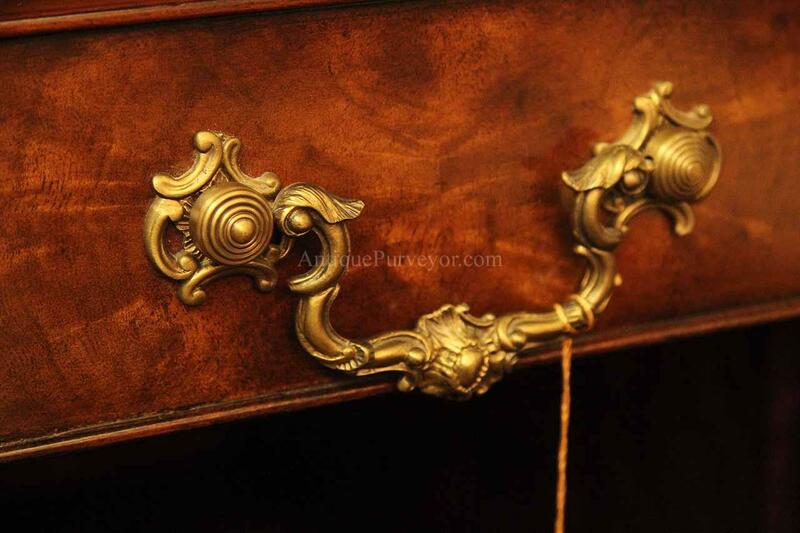 Even the cabinets edging is trimmed with exotic materials. 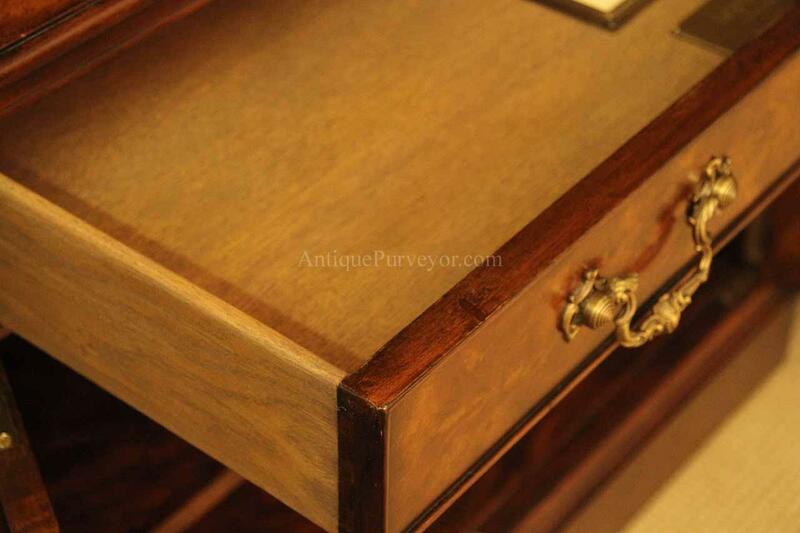 The plinth base is traditional and a part of the cabinets original design. 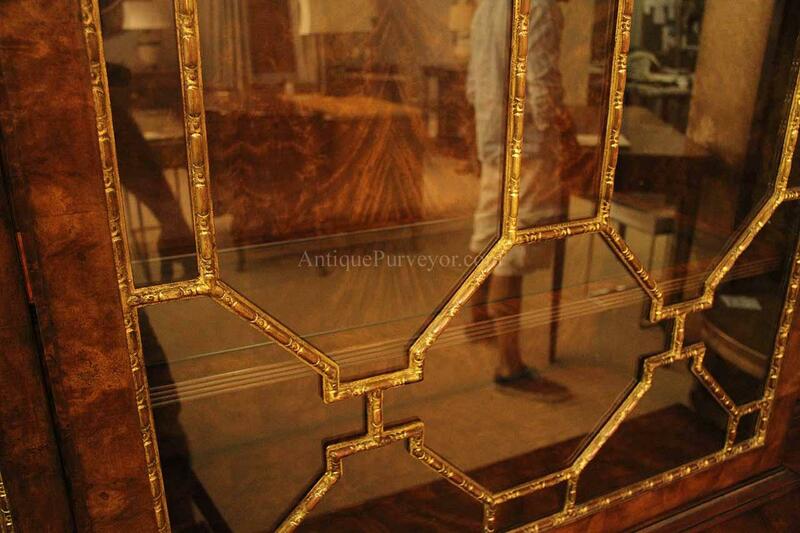 The cabinet is accented with genuine gold leaf which I witnessed being applied to the cabinet while in production. 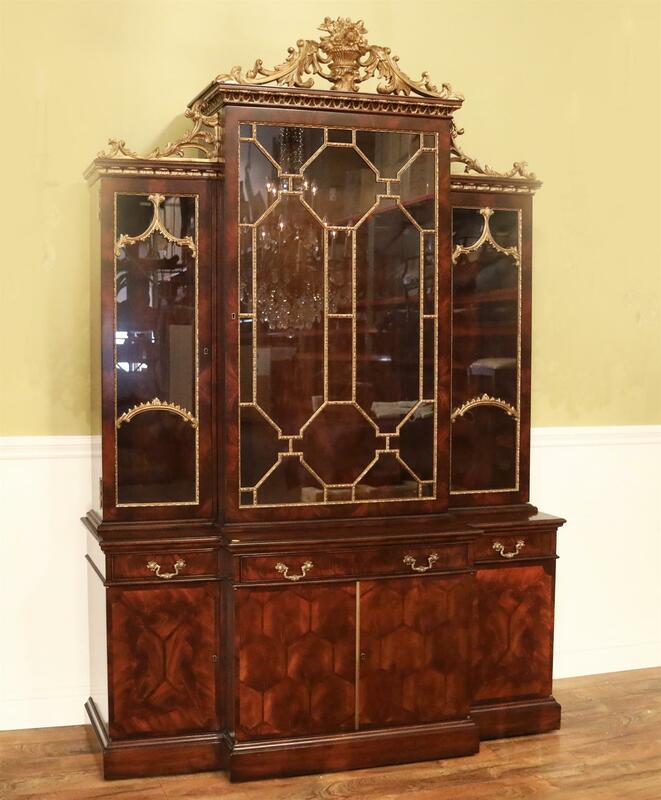 A fine detailed reproduction cabinet.